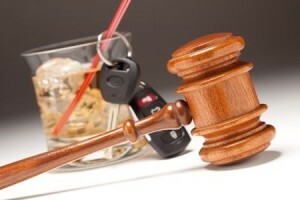 Although major strides have been made, drunk driving is still a major issue in Illinois, and throughout the U.S. According to a news release by the National Transportation Safety Board, over 173,000 people are injured in alcohol-related crashes each year, and close to 10,000 people are killed. In 2013, the NTSB made several recommendations in an effort to eliminate crashes that are caused by drunk driving. One of these is for states to lower the legal blood-alcohol content limit to 0.05. The limit is currently set at 0.08 in all 50 states. Most of those who support the NTSB’s recommendation point to findings reported by the NTSB, which suggest that drivers are at a greater risk of getting into a collision if they have a BAC above 0.05. They argue that lowering the limit would further reduce alcohol-related fatalities as it has done in Europe. Currently, there are more than 100 countries worldwide that have implemented a 0.05 BAC limit for drivers. While there are many who do not directly oppose the recommendation, those supporters feel that there are other solutions that might prove more effective. Those who oppose the recent recommendation suggest that lowering the limit would make behavior that is perfectly responsible, criminal. This opinion is based largely on reports, such as one by the New York Times, which indicate that generally, at 0.05, a woman weighing 130pounds could only consume two drinks over the course of 90 minutes, and a man weighing 180pounds would only be able to consume three drinks in the same period of time without being over the limit. Many feel that lowering the limit would only further restrict responsible adults who consume alcohol in moderation, not stop the serious drunk drivers who pose the greatest risk. By most reports, lawmakers in Illinois are not quite ready to jump into lowering the legal limit. Many would like to see further studies into the effects of the change before making any type of a decision. News reports suggest that, for the most part, members of the Illinois state Senate and House of Representatives are more inclined to keep the limit at 0.08. At least one state representative expressed a concern that tightening the limit might not sit well with voters, especially in areas were there is less public transportation and access to taxis. As long as there are drunk drivers on the roads there is the potential for motor vehicle accidents, which can result in serious injury or death. People who have been involved in a situation such as this may find it helpful to discuss their situation with an attorney to understand their rights and options.